Founded in the fifteenth century, the Choir of King’s College, Cambridge is arguably the world’s most famous choir and the pre-eminent representative of the British church music tradition. Their distinctively pure tone has been honed over centuries in the vaulted stone arches of the College Chapel. 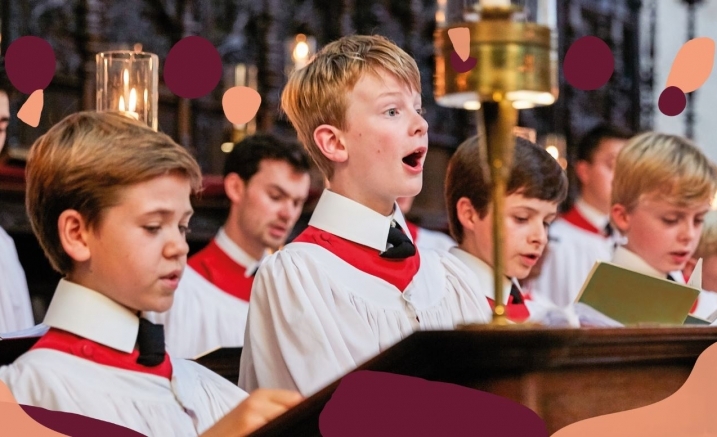 Comprising 16 boys (the youngest aged seven) and 15 male university students, the Choir remains a major force by balancing unmatched history and tradition with continual growth and adventurous programming. The repertoire in these programs reflects this breadth by showcasing pieces from the Renaissance to the present day. This performance is especially poignant, marking the Choir’s final tour with Stephen Cleobury, after 37 distinguished years as Director.